Hello welcome to lesson 4 the topic is translating verbal and algebraic phrases. 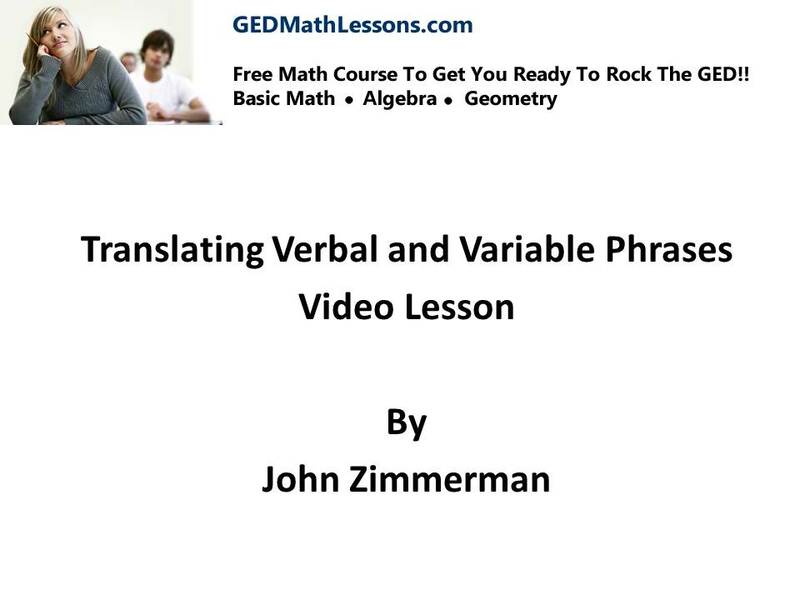 The main purpose of this lesson is to teach you how to write a verbal statement into a mathematical or algebraic statement. A quick example would be “a number plus 2 is equal to 10” this could be written as “x + 2 =10”. It’s important to learn how to translate verbal and algebraic statements to really master algebra. As you know algebra will be on the GED so pay attention and go back and review if you get confused.